Site Map II CRM Software Technical Library CRM - Database Systems Corp.
Is it Time to Unplug Your Electronic Support? IS CRM Truly Ready To Be Wireless? 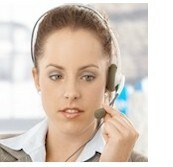 CRM systems in the call center: Help or harm? What's the Difference Between CRM and PRM? The Call Light's On -- But Is Anyone Home? The Customer Experience Management Concept - What does CEM look like?